The First Brushes and Brews at High Hops Brewery — Let's Paint! It's been one year since Let's Paint! 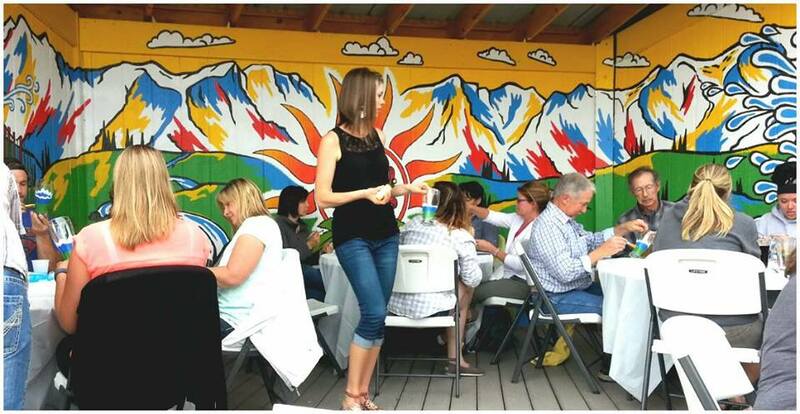 has partnered with High Hops Brewery to offer public painting events. 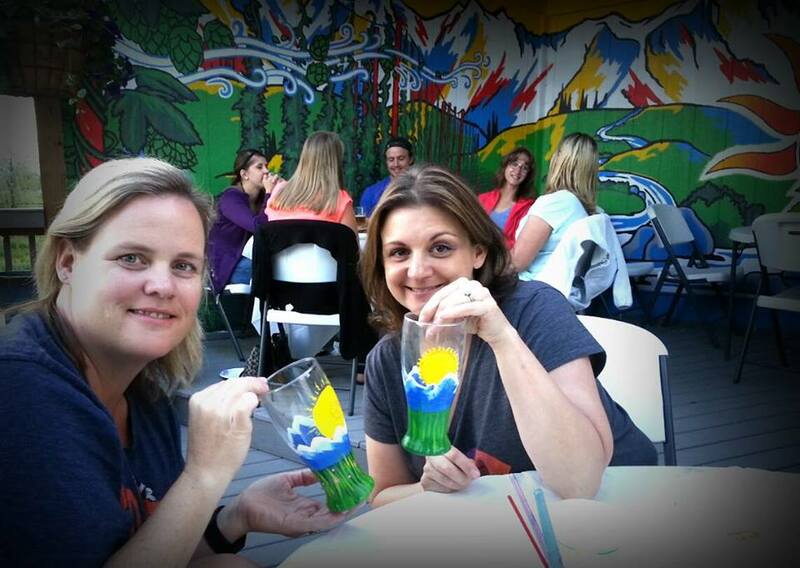 You can't go wrong with cold beer, a mountainous view from the patio, friends and a little paint. Cheers to one year! I love when friends come and paint. Nice job, Scott! That's me... before we got our fancy 'Let's Paint!' shirts. More friends! These girls just happen to be artists themselves. Can't you tell? 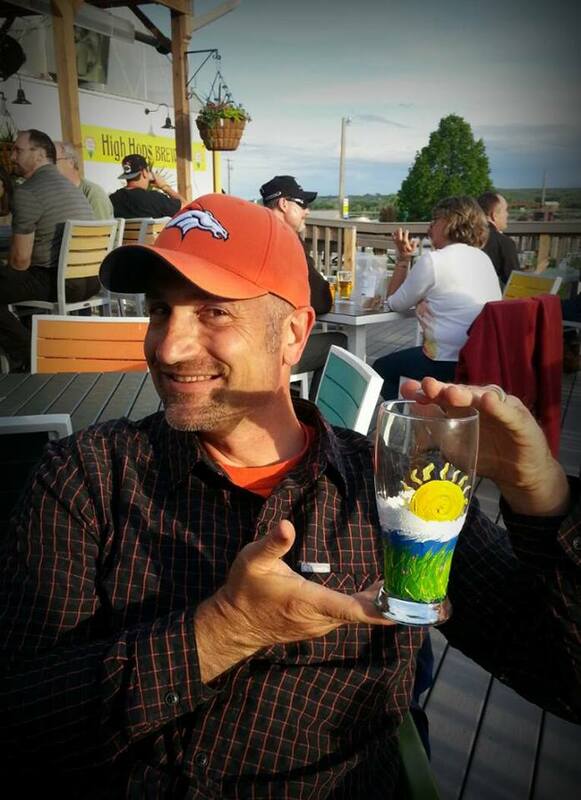 tagged with Brushes and Brews, High Hops Brewery, Glass painting, Paint and wine, Paint night, Let's Paint!